Ernest Wiltshire is a partner in our Kampala office. His main practice areas include corporate and commercial law, tax law, employment law, local and international arbitration, and litigation. He specialises in foreign direct investment, legal due diligence and audit, labour relations and retirement benefits, product liability litigation, and the regulation of non-governmental organisations, immigration and tax law. He as a LLB (Hons) from Makerere University, Uganda, and a LLM from the University of Cambridge, UK. He is also a lecturer of law at Makerere University. Shareholders of Orient Bank Uganda Limited; represented them against the Uganda Revenue Authority in a landmark case dealing with tax liability arising from the sale of interests in Orient Bank Limited and successfully resisted a tax assessment of USD 20 million. Challenged as tax assessment for an international manufacturing company to a tune of UGX 15 billion as a result of a new tax law being applied prior to its actual enforceability. Representing Total E&P, one of the licensed oil and gas exploration and production companies in Uganda, in a suit concerning disposal of waste products. Advised Liberty Life Assurance Uganda in the establishment of an umbrella retirement benefits scheme. Advised Lion Assurance Company on the funding and increase of its capital following increase of the statutory minimum capital requirements of all insurance companies. 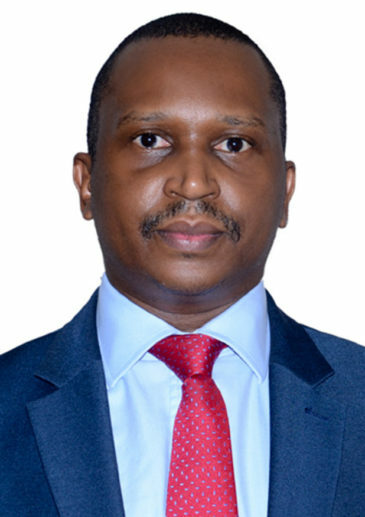 He has been involved in the drafting of the retirement schemes of leading corporate clients such as Uganda Breweries Limited, Citibank Uganda Limited and Tullow Oil Uganda Limited Liberty Life Assurance Uganda Ltd and number of other clients through AON Uganda. A leading bottling and manufacturing company regularly advising them on their compliance with the Occupational Safety and Health Act. Citi Bank Uganda Limited on its compliance with health and safety laws of Uganda. Schlumberger Oil Field Services Limited, a key support oil field services provider in the oil an exploration and production sector on its Employee health and safety policy. Cipla Limited, extensive tax advice in its acquisition of Quality Chemicals Limited Uganda the leading manufacturer of Anti-retroviral drugs in Uganda. Advising on retirement benefits, immigration and employment law matters for several corporate clients and Non-Governmental Organisations such as Oxfam GB. Ernest was recognised for his outstanding role in Mentoring Young Female Lawyers by the Uganda Law Society in 2017.